Jean Auguste Dominique Ingres was a French Neoclassicist painter. Today he's best known for his portraiture and his temper. 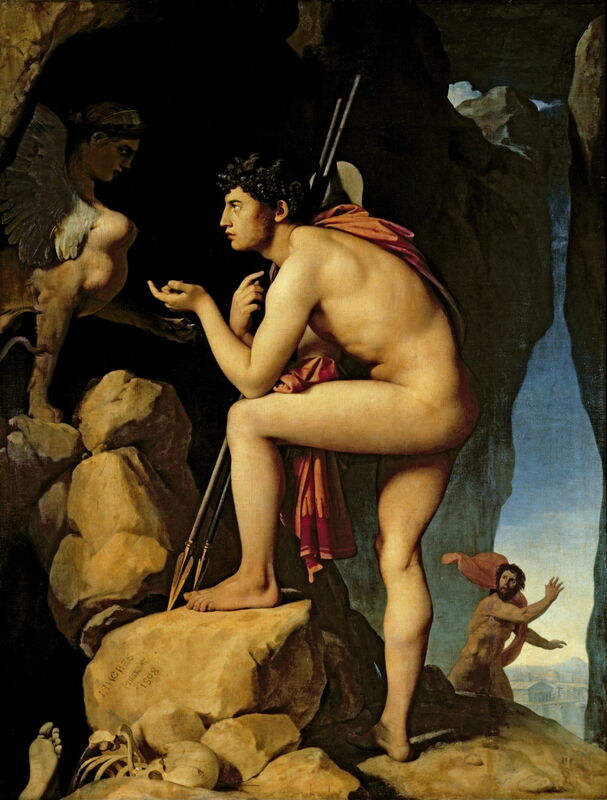 This actually started as a student work, Ingres redid and expanded it twenty years later. He did another version later still. Pay attention to the fleeing man. I imagine the Sphinx is too much for him.